The European Commission has sent EUR 1 billion to Romania, the second loan installment agreed with the country, out of a total amount of EUR 5 billion. The money has already reached the country's treasury. The country has also recently received a EUR 2.4 billion payment from the International Monetary Fund, which represented the third and the fourth installments from the fund. Upon payment, the EC pointed out the positive evaluation received by the country on enforcing the conditions agreed in the memorandum of understanding. 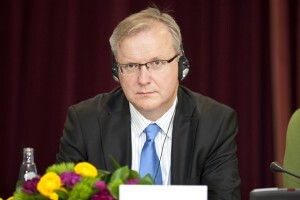 “The financial assistance offered by the European Union, the International Monetary Fund (IMF) and other financial institutions has helped Romania overcome the hardest part of the economic and financial crisis,” said Olli Rehn, the European commissioner for monetary and economic affairs. The EC continues to monitor Romania on fiscal measures and on pension reforms in order to send out the next loan installments. Romania has signed a two-year stand-by agreement with the IMF for almost EUR 13 billion. Extra financing has been pledged by the European Union, the World Bank and the European Bank for Reconstruction and Development, placing the total financial aid package at EUR 20 billion. The European Commission has sent EUR 1 billion to Romania, the second loan installment agreed with the country, out of a total amount of EUR 5 billion. The money has already reached the country's treasury. The country has also recently received a EUR 2.4 billion payment from the International Monetary Fund, which represented the third and the fourth installments from the fund. Upon payment, the EC pointed out the positive evaluation received by the country on enforcing the conditions agreed in the memorandum of understanding. “The financial assistance offered by the European Union, the International Monetary Fund (IMF) and other financial institutions has helped Romania overcome the hardest part of the economic and financial crisis,” said Olli Rehn, the European commissioner for monetary and economic affairs. The EC continues to monitor Romania on fiscal measures and on pension reforms in order to send out the next loan installments. Romania has signed a two-year stand-by agreement with the IMF for almost EUR 13 billion. Extra financing has been pledged by the European Union, the World Bank and the European Bank for Reconstruction and Development, placing the total financial aid package at EUR 20 billion.